2015 Road Trip Photos #18: War Wheels « Midlife Crisis Crossover! 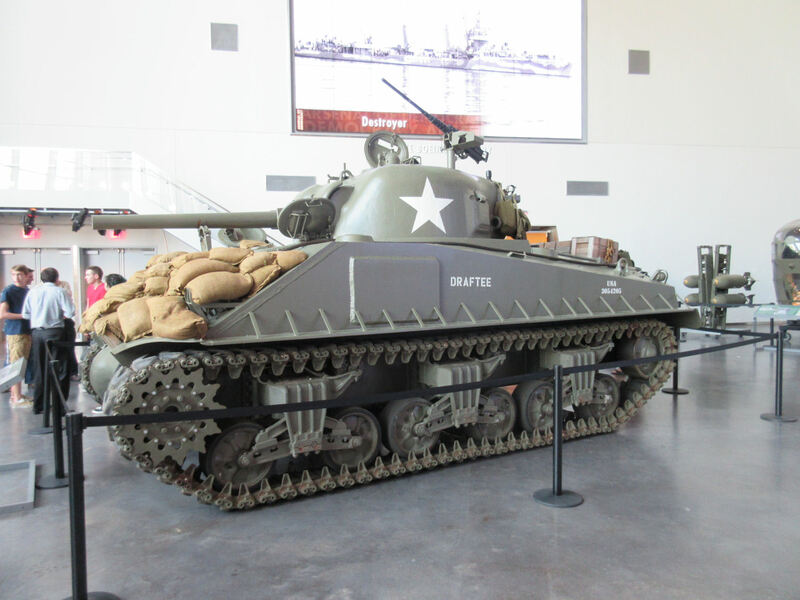 A Sherman Tank! I first saw one of these in the forgotten James Garner film Tank, which played at the drive-in when I was a kid. This encounter was much better than that film. 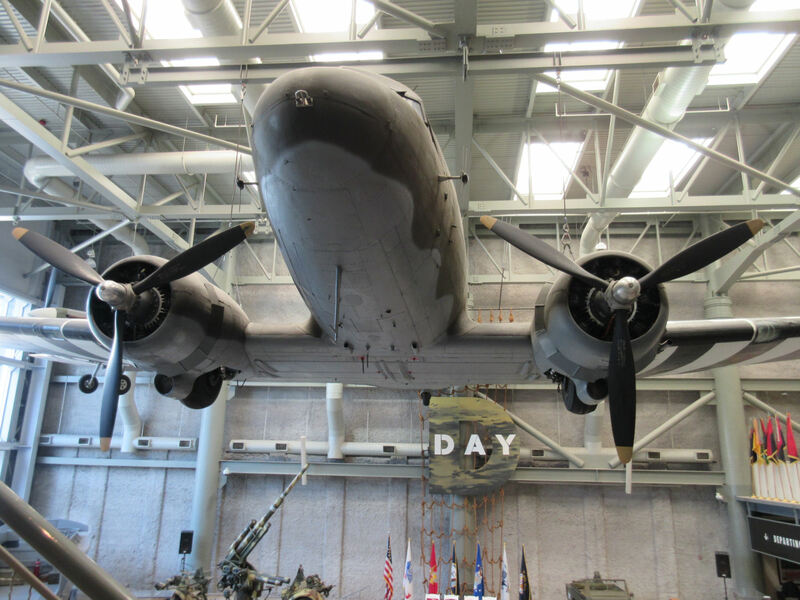 Previously on Midlife Crisis Crossover: our road trip to New Orleans continued as my wife and I spent much of Day 3 touring the National WWII Museum — four super-sized buildings and one smaller, locked gallery used for restoration work. 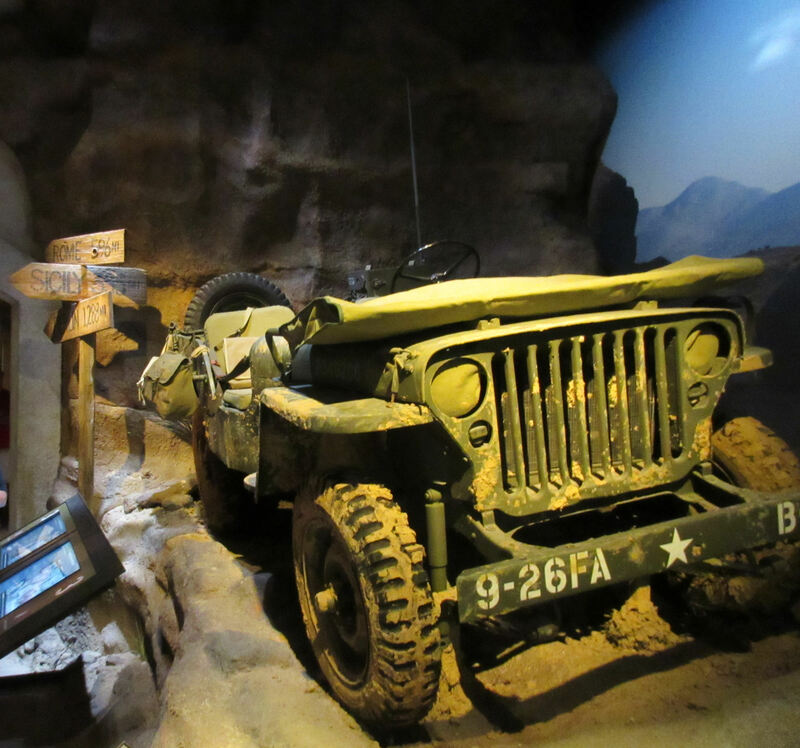 With all that square footage and so many high ceilings, the Museum has plenty of space to display the largest wartime souvenirs: the vehicles that men drove into combat. 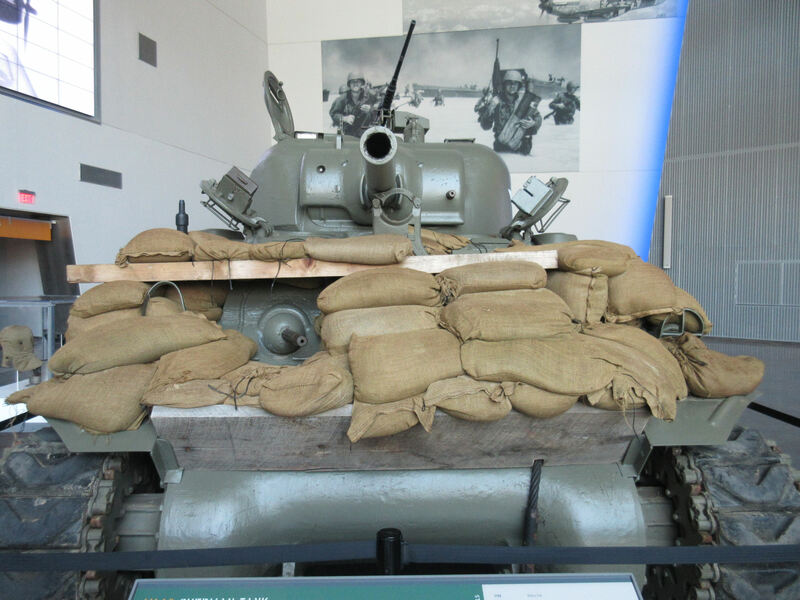 Same tank, different angle. All this equipment was much more daunting in person than in photos. 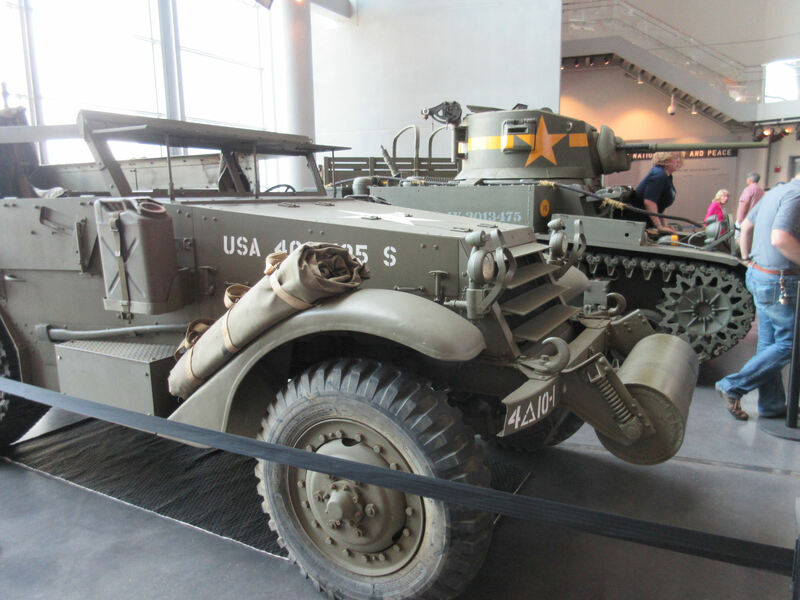 A White M3 Half-Track and the M3A1 Stuart Tank, a lighter vehicle than the Sherman. For some reason a young lady was allowed to climb into the front compartment, only to spend several minutes trying really hard to squeeze out of it. 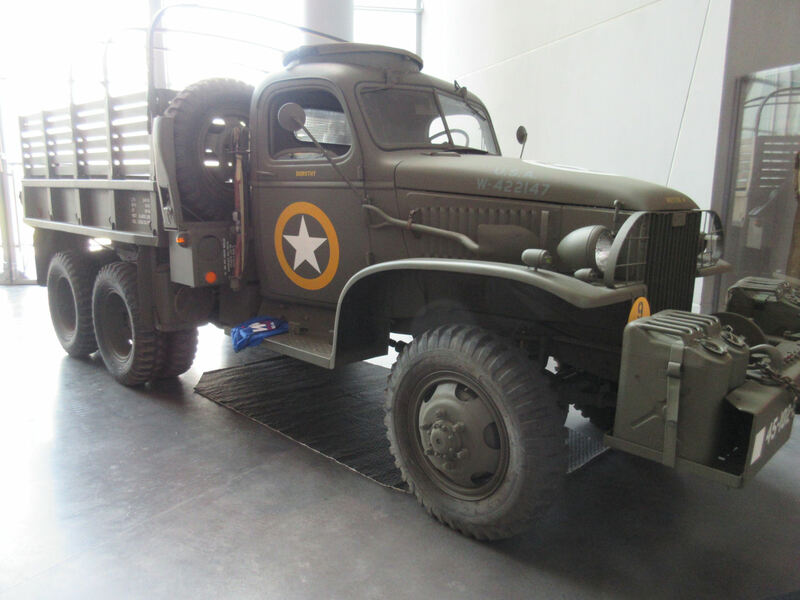 Guests ostensibly weren’t allowed near this war truck, but it looks like someone forgot their merchandise on the running board. Sample Jeep in its native environment. Back on the homefront, donation drives and domestic product cutbacks were implemented so our guys overseas could have all the resources and materiel they needed. 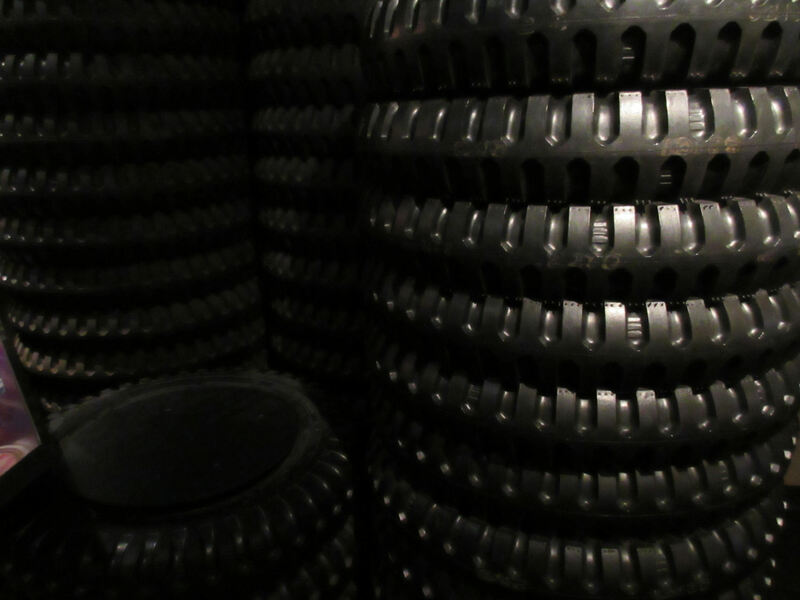 Our sacrifices as a country seventy years ago made these leftover tires possible today. 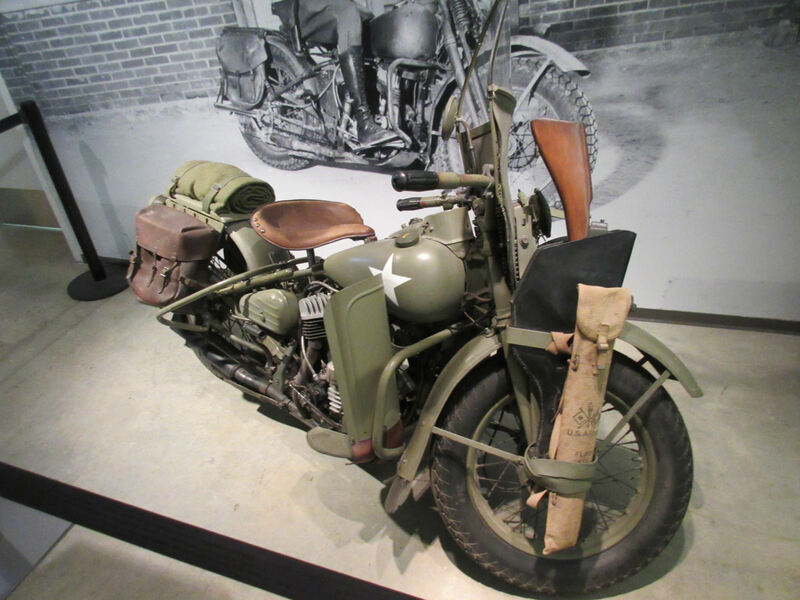 I like to pretend this 1942 Harley Davidson motorcycle was the personal property of Captain America. America wasn’t the only country with production issues. 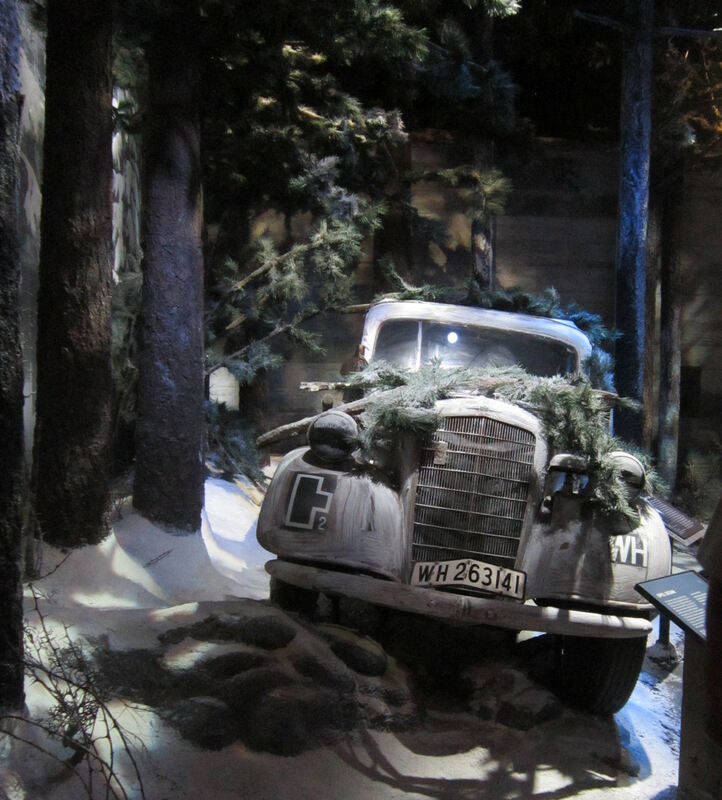 In Germany, cars were in such short supply that pre-existing vehicles were used as officer transport and even as makeshift ambulances. None were exempt from Nazi service, including this 1934 Opel 6 luxury sedan. 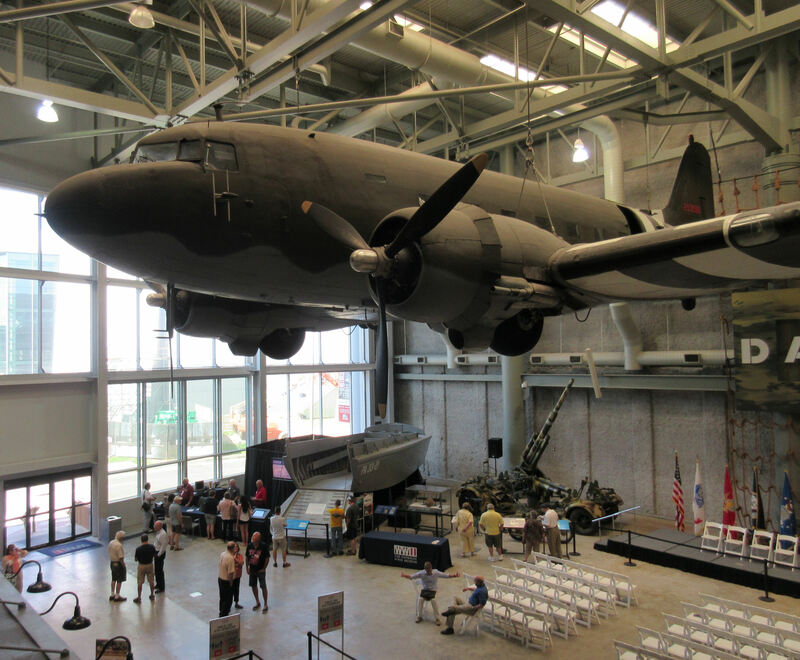 I suppose I could’ve mentioned sooner that the first artifact you see when you buy your tickets is an entire plane, a Douglas C-47 Skytrain. After being decommissioned, this actual plane was used in filming Sir Richard Attenborough’s 1977 drama A Bridge Too Far, then made its way to the Museum in 2006. You’ll also note the APC in the far corner, along with one of the howitzers from Part 2.